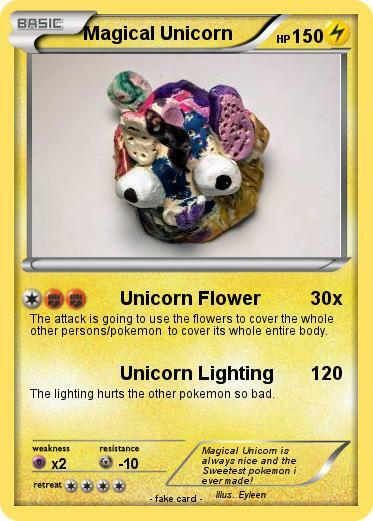 The attack is going to use the flowers to cover the whole other persons/pokemon to cover its whole entire body. The lighting hurts the other pokemon so bad. Comments : Magical Unicorn is always nice and the Sweetest pokemon i ever made!